These are FSX textures (dds, mipped). The HTAI Learjet 31 model is required. It can be found at http://htai-models.com/downloads.html. These are FS9 textures (32 bit). 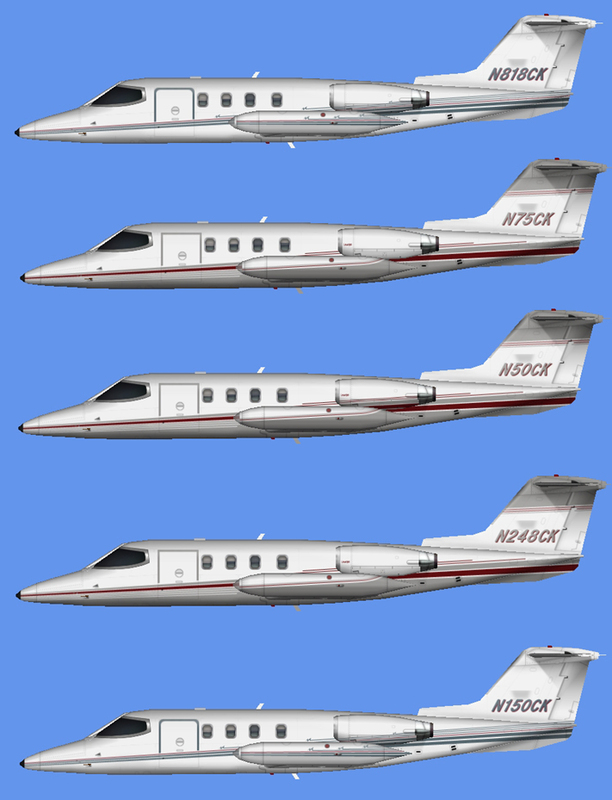 The HTAI Learjet 31 model is required. It can be found at http://htai-models.com/downloads.html. These are FS9 textures only. The HTAI Learjet 35 model is required. 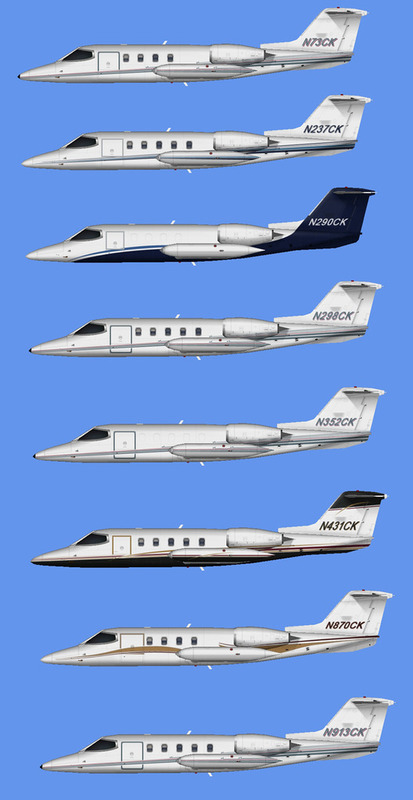 It can be found at http://htai-models.com/downloads/models/ai_gates_learjet_35.zip Contains both DXT and 32 bit textures. 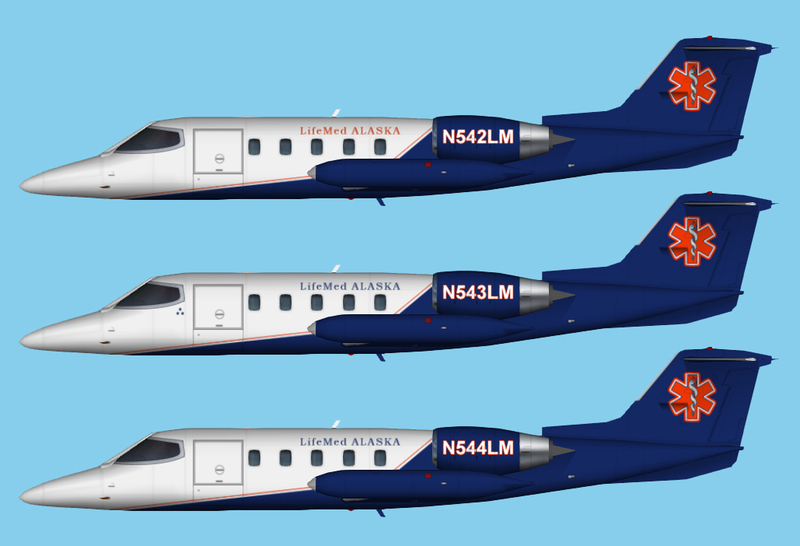 LifeMed Alaska Learjet 35 for the HTAI Learjet 35 base model. These are textures only. The HTAI Learjet 35 base model is required.